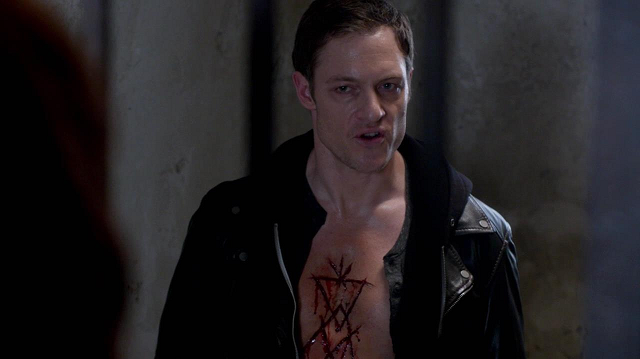 Tahmoh Penikett talks ‘Supernatural’ and if Gadreel could return with movietvtechgeeks. “Supernatural” Actor Mark Pellegrino Joins Netflix Series “13 Reasons Why” From Producer Selena Gomez. Thanks to all-spn for the tip. Mark was also interviewed by Hypeable Did Mark Pellegrino prefer playing Jacob on ‘Lost’ or Lucifer on ‘Supernatural’? provides pro bono reconstructive surgery & emotional support to victims of domestic violence, human trafficking & other cruel acts of crime. Two of our stars were featured on the Hillywood Show. Sebastian Roche attended the Amazon party at the Emmys last week. The MarySue had A Geeky Conversation with Alan Tudyk and Felicia Day, in conjunction with the release of the trailer for Con Man, The Game. Resonate ran INTERVIEW: Asians in the Media (Part 1/3) – featuring actor Osric Chau. Katie Cassidy (Ruby #1) shot a commercial to encourage cat adoptions. Katie is also returning to Arrow. In the wake of his Emmy win and the launch of his new show This is Us, Sterling K. Brown is popping up everywhere. 'People v. O.J. Simpson' actor Sterling K. Brown talks travel and his favorite U.S. cities, This Is Us Star Sterling K. Brown on How His Own Life Parallels His Character: 'I Loved My Dad Tremendously', Get to Know Your Latest Celebrity Obsession, Sterling K. Brown, Emmy winner Sterling K. Brown is shocked by his new ‘O.J.’ fame, and People v. O.J. 's Sterling K. Brown: That Cuba Gooding Jr./Sarah Paulson AHS Love Scene Was 'the Craziest Thing!. We are still getting coverage on GISHWHES. 'Week of insanity' sparks crazy antics, service projects.